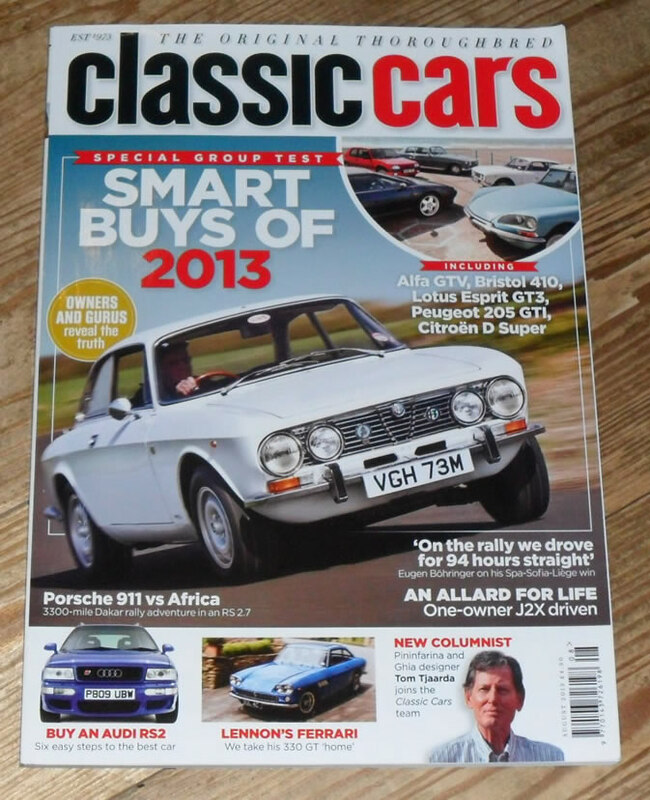 August 2013 of the British Magazine, Classic Cars. 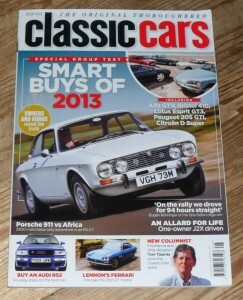 The cover feature of this issue is smart buys for 2013. Other articles include items on the John Lennon’s Ferrari 330GT, Audi RS2, Allard J2X, Porsche 911 Dakar rally car, Marciano 268A and many more.